You put a lot of thought and energy into picking out your tattoos, and they aren’t easy to have put on either. After going through the process of having your tattoo expertly put on your body, you really want to make sure that you take good enough care of it so that it stays looking how you intended for a long time. Your regular skincare routine may not be suitable after you start getting tattoos. Tattooed skin requires additional care, especially regarding keeping the skin moisturized. A proper skin care routine is especially important during the first week after you get a tattoo, but the extra skin care requirements never really go away. 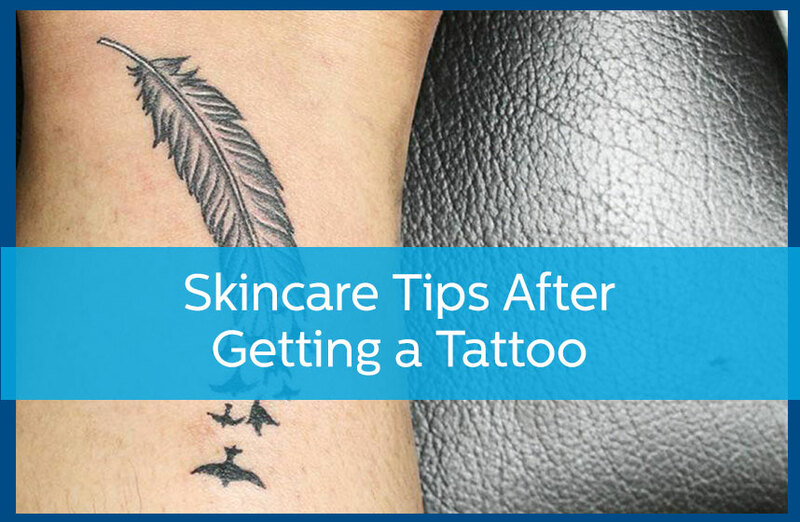 For the color and shape of your tattoo to stay vibrant and precise you need to take a few extra steps as you care for your skin every morning and night. Tattoos require washing, almost immediately. A few hours after your tattoo is put on you should start washing it at regular intervals. Every time you use the bathroom is a good interval model to follow. Simply wash your tattoo with soap and water, rubbing it gently with your fingers and then pat dry with a soft towel. Use a moisturizing lotion to keep dryness at bay. The best lotions to use are water-based lotions and creams. Stay away from petroleum jellies, as these will cause the ink to fade. Keep your tattoo out of direct sunlight, and definitely stay away from tanning beds. Your tattoo is going to make your skin have to fight to stay moisturized, and immediately heading out into the sun is going to amplify the dryness. If your tattoo causes any sort of skin reaction or rash, seek immediate help from your dermatologist. There are a lot of reasons your skin may be reaction to the tattoo, and it is important to have the situation immediately assessed by a professional skin care expert. To learn more or to schedule an appointment, contact us at 770-251-5111 today.